The Ragnarok holster was made to be extremely modular, tough, modern, and fast. 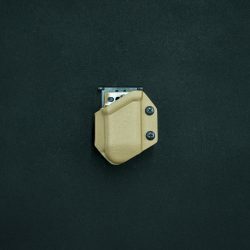 Made from heavy duty .125 precision-formed Kydex, it is quite the beast of a holster. 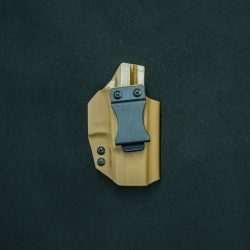 While the Ragnarok is a passive-retention holster (no hood/strap/button to deactivate the holster), it features adjustable retention using screws along the edge of the holster. The Ragnarok does not come with a belt attachment. 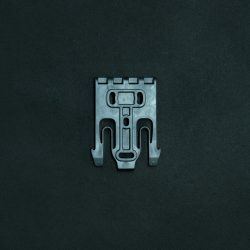 Click here to get whatever mounting solution you need. Glock 19 with a Surefire X300 weapon light and compensator in a wolverine Ragnarok. To keep up with technology, every Ragnarok holster is made to accommodate slide-mounted optics, threaded barrels, as well as select compensators. However, the holster still performs perfectly even if you don’t run these. (top from left) Belt Slide, Safariland UBL w/ QLS Receiver, Safariland UBL, and a black Thigh Strap. (bottom from left) QLS Receiver, RTI Hanger, Belt Loops, and QLS Fork. But the thing that makes the Ragnarok a very unique holster, is the modular hole system on the back that can accommodate a variety of mounting options, from simple belt loops to a whole QLS system. 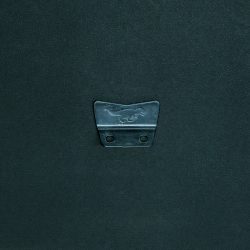 With regular belt loops, it puts the weapon very close to the body – good for concealment! Or, it can be run with paddles, offset mounts, leg rigs, you name it. The Ragnarok is compatible with accessories from: Safariland, Bladetech, Blackhawk, G-Code, S&S Precision, and other mounting options, perhaps making it the most modular holster on the market. 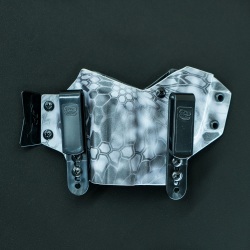 For the light-compatible version of this holster, click here. 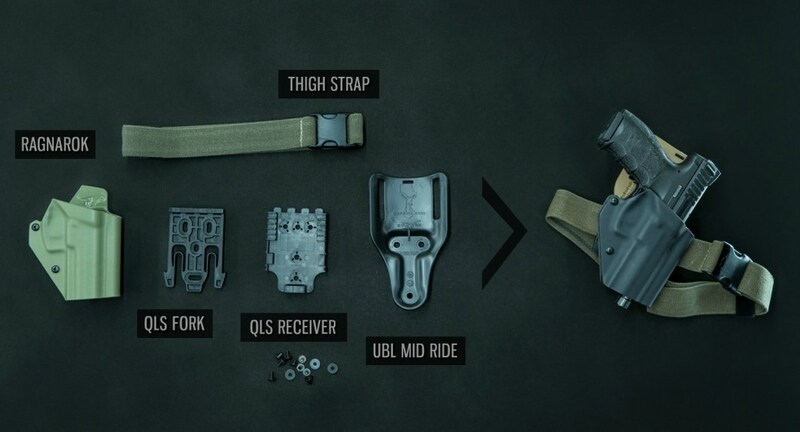 One possible but complete mounting system: VP9 Ragnarok, ranger green Thigh Strap, QLS Fork, QLS Receiver and Safariland UBL. Ragnarok in four colors: (from left) Black, Multicam Original, Wolverine Brown, and Ranger Green. If you’re running a Beretta M9A1/A3 (decocked for safety of course), it’ll fit a Sig P320/X300 Ragnarok just fine. *Glock 9/40 versions fit compact, full-size, and competition-length Glocks. For maximum concealability on the APL Compact and XC1 versions, the holster completely covers a compact slide (e.g. 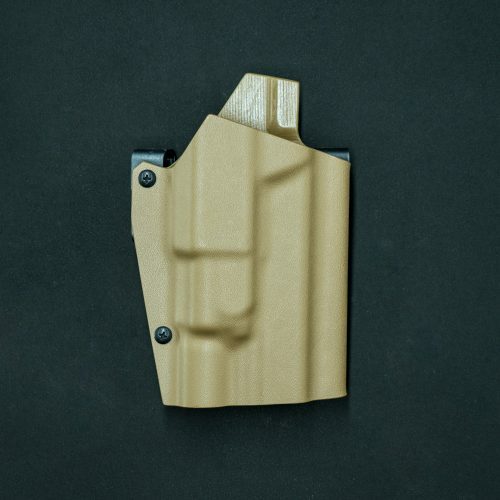 Glock 19) while longer slides protrude. On APL Fullsize and TLR-1 versions, the holster completely covers a full-size slide, but the competition-length slide protrudes. 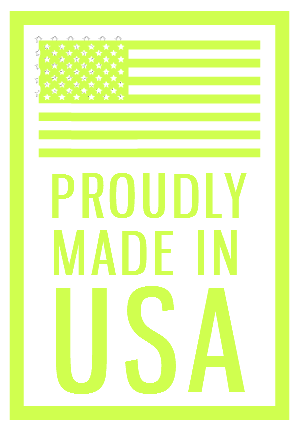 *M&P versions fit 9/40, both first gen. and M2.0 (5″ M2.0 NOT included). 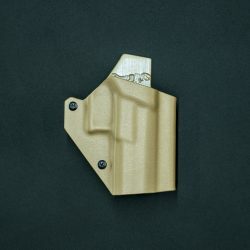 The holster is sized to cover the light, so where there’s a longer slide with a shorter light some slide will protrude. *Sig P320 versions fit compact, carry, full-size, and X-Five variants. 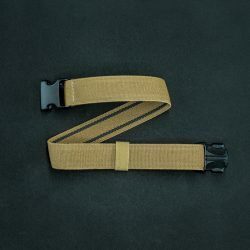 The holster is sized to cover the light, so where there’s a longer slide with a shorter light some slide will protrude. 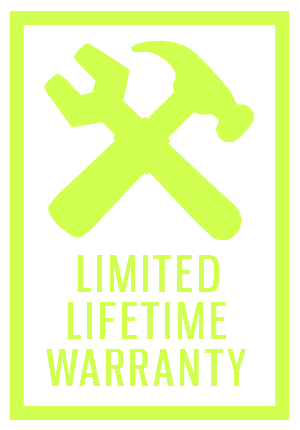 *X300 versions options fit the X300U-B, X300V-A/B and X300U-A (friction fit only), but NOT the X300UH. *XH35 versions fit the XH30. *TLR-1 versions options fit TLR-1s and HL, but NOT the TLR-2. Glock X300 Wolverine Ragnarok equipped with standard belt loops. Sig P320/X300 Ragnarok setup with the Safariland QLS system. Safariland UBL, QLS Receiver and Fork, and Thigh Strap. Ragnarok attached to an Orion belt with the UBL mid ride and QLS platform. DBAL-PL Ragnarok. For those times you have to go dark.